I've just got home after picking up a donor car so fingers crossed the roof looks as good in the morning as it does tonight. What a read! LD keep up the great work and the fantastic write ups. Never owned one of these cars but always admired them so its great to see them being restored and looked after properly. Congrats on the mot. With recent talk of finding a donor car for the roof I need, I didn't expect to find one quite so quickly as I have done. 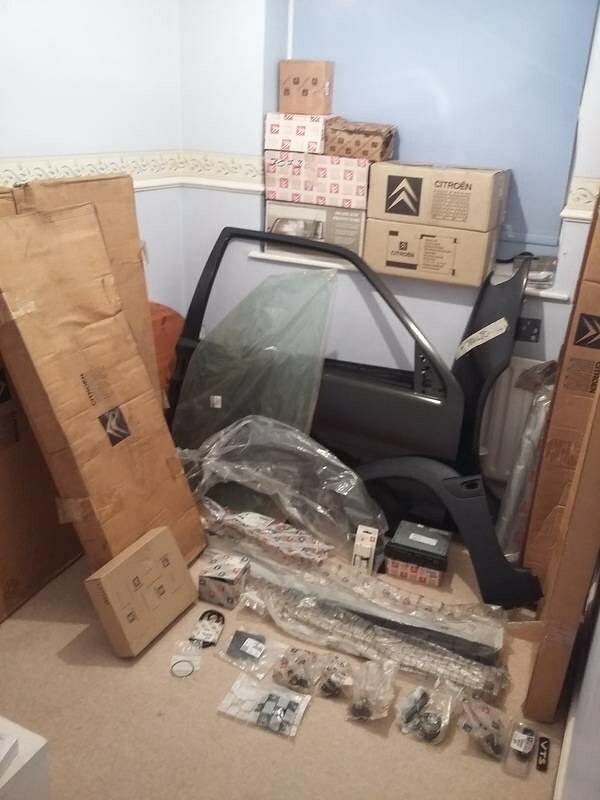 After all, I have Matt's Peugeot 309 GTI due over in November for some welding, so I wont be making a start on the VTS roof until the new year I'd imagine. I tend to prefer buying cheap little donor cars as it just makes more economical sense! 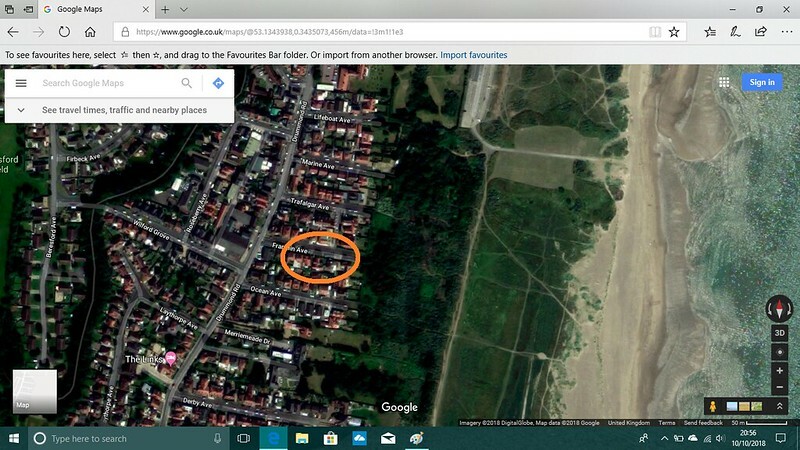 A perfect example being this roof issue. The local breakers have quoted me £50 for a roof but I'd need to cut it off myself. Add in a days rental of a two-stroke disc cutter at £30, some petrol to get to my nearest breakers and also the fact of how on earth do you transport a flimsy roof section without damaging it? So that's easily £90 plus a lot of stress and risk of disaster. 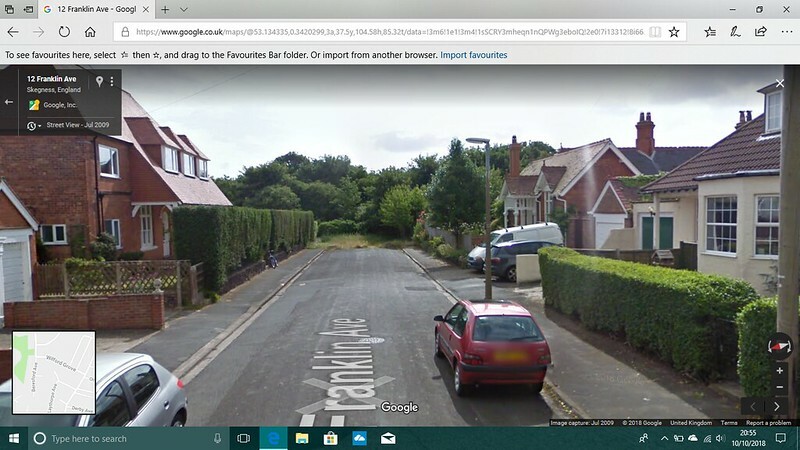 With a donor car, its still possible (just!) to pick one up in 2018 for under £100 if you are lucky. 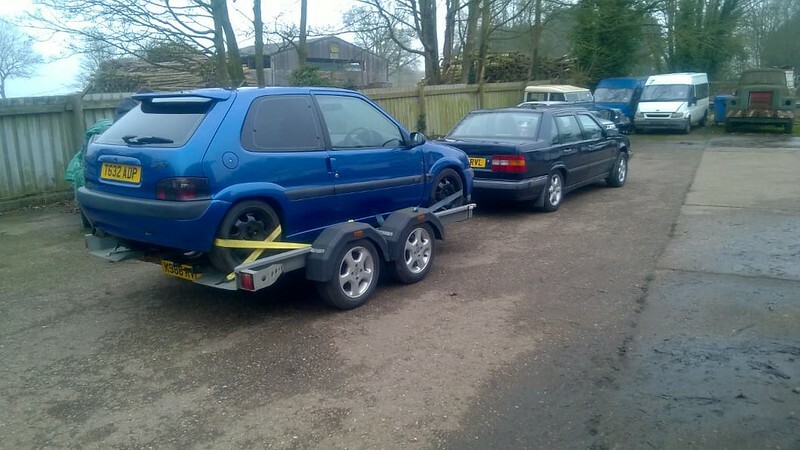 By that I mean a normal Saxo obviously and not a VTS. You then also have a whole car to pick spares off to improve the condition of your project car(better condition steering wheel for example) and along with the fact you can pretty easily make your money back on selling the spares you don't need, it's pretty much a no brainer! Now I know that the title of this thread contains the word "addiction" but obviously that technically is meant as a bit of tongue in cheek. However, reading back this rambling I've just done for you lot and it makes me realise its a bit too close to the truth. Picked this up locally for something daft like £120. 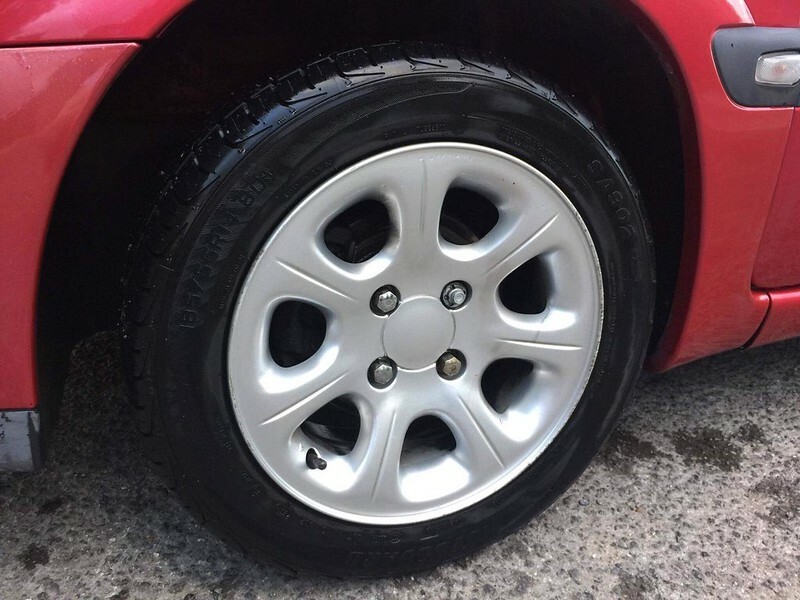 We had decided to go up in wheelsize on our 106 GTI track car due to tyre prices and was on the hunt for a set of 15" 205 GTI wheels. This turned up and we ended up with a free set of wheels, partly due to selling among other things, the rare leather interior it came with! 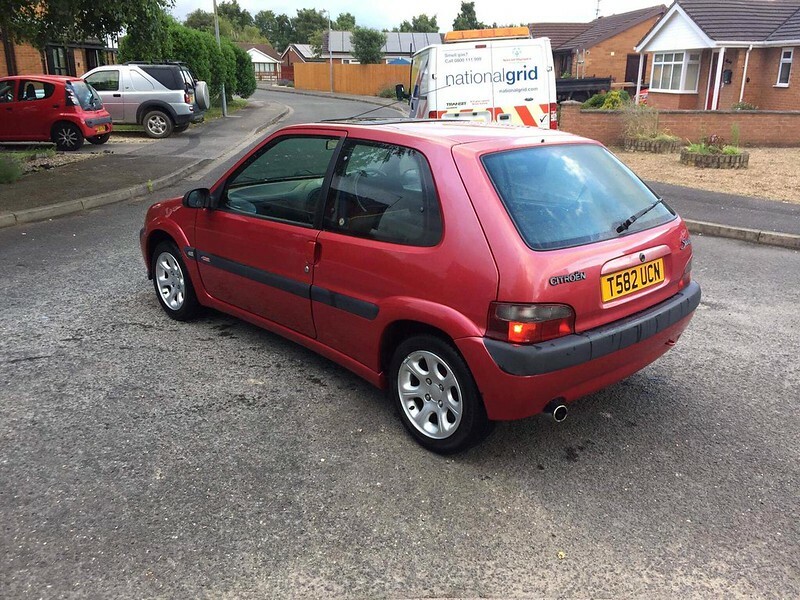 Things like the boy racer back lights etc also boosted the car fund Being a Cat D write off and rusty helped with breaking this one up. Next up a 99 Westcoast. Bought with MOT but a rusty roof, this was acquired purely to replace all the missing bits of interior trim when I purchased the Mercury VTS. 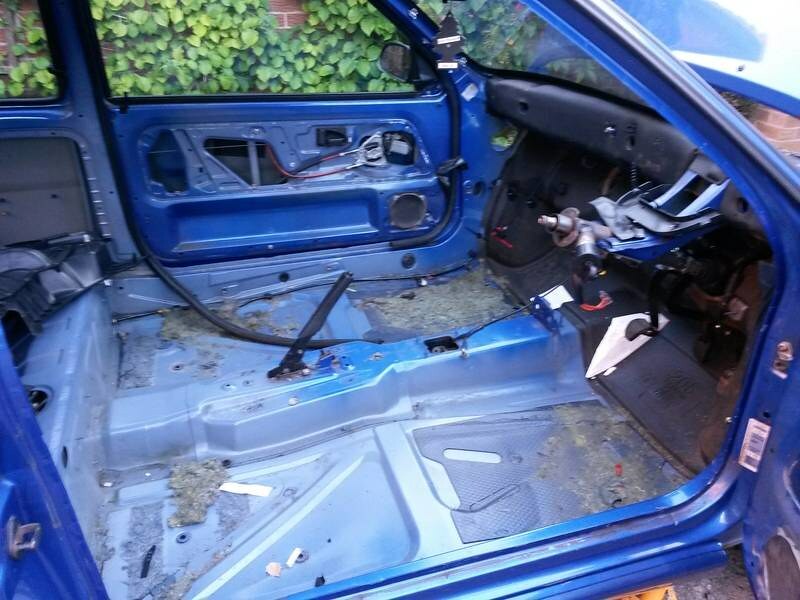 Carpet,sound deadening, heater and ducting, headlining, dash, wiring and wheels etc. Certainly stripped that one bare but it was invaluable for all the little clips and screws as well. 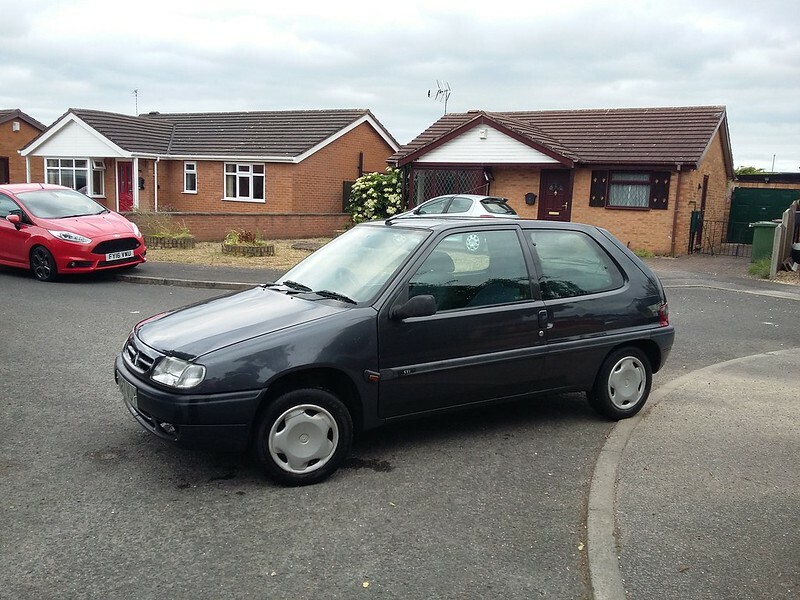 1997 Mercury Grey Saxo "x"
This was a bit of a unicorn but was oh so needed. The drivers door and front wing was damaged quite badly on the Mercury VTS due to a seized door hinge when I bought it. I had resigned myself to the expensive option of having to get a better door and wing painted and blended in by a bodyshop. Hell, I'd even tracked down a brand new door which was a mission in itself! 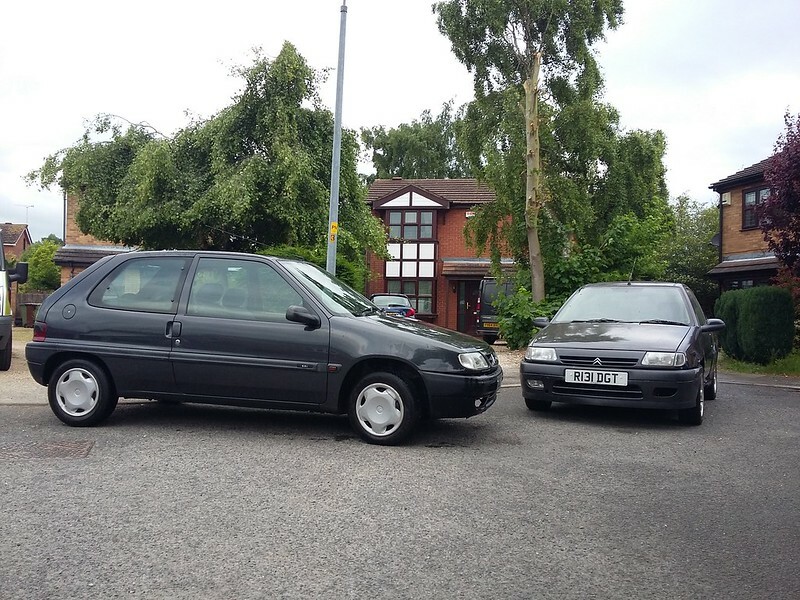 So imagine my surprise when a Mercury Grey Saxo X turned up. 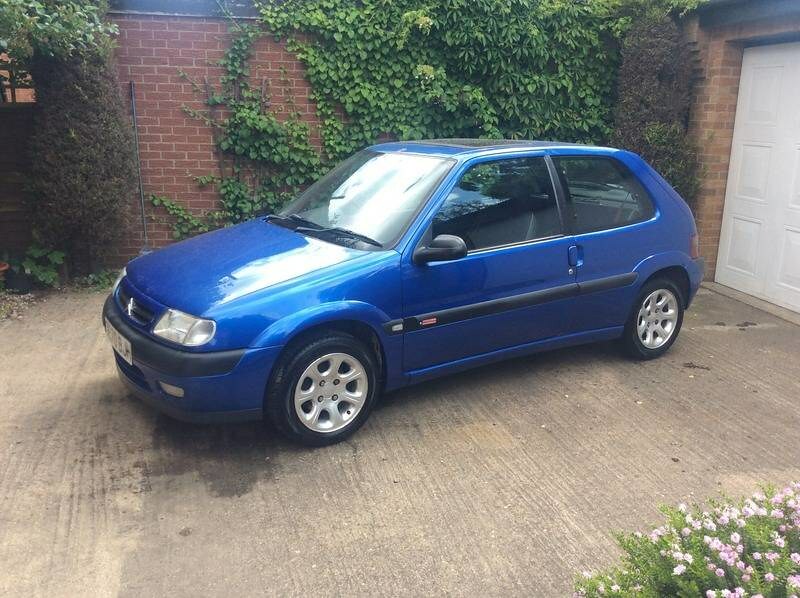 MOT'd and fairly local for around £100! Mercury Grey Saxo's are very rare anyway but an X must almost be unique! I say that because an X was the lowest of the low in the model range and the Mercury Grey paint was quite an expensive option! Odd combo for sure. I remember turning up to view it and being disheartened straight away. It had been in an accident at some point in its life and not repaired to a great standard it must be said. Every panel on it was dented, scratched or vandalised...apart from the drivers door and wing!!! It also rather fortunately had the correct facelift grill I needed for the VTS. 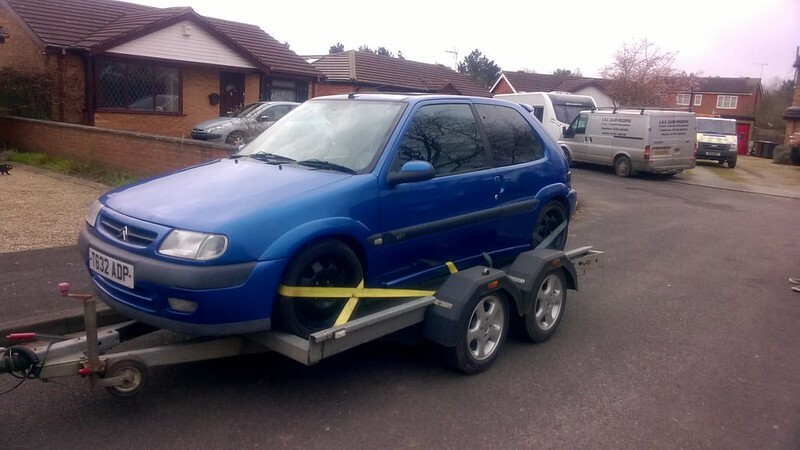 I ended up haggling him down to under £100, insured it for a day there and then and drove it home. It was a journey home that will always make me smile, solely because I was stunned at just how much fun the basic, non-power steering equipped 998cc Saxo was. This was a fluke. I'd called the local family run Citroen dealership to enquire about the chance of them having a sill panel I needed. Despite being obsolete, I'd given them a try as the family run dealerships tend not to skip old stock when it becomes NFP on the parts system. (No Further Production). Sadly they didn't have one but a chance remark from myself about cutting one out of a salvage car led the guy on the phone to mention they had a part exchanged one in their yard and if I wanted it, I could take it away for £50. Deal! The crazy thing with this particular rusty purchase was that a guy bought the damaged front wings, bonnet and slam panel the following weekend for my initial purchase price! Plenty of trim parts were stashed away from this one like a mint parcel shelf and boot mat for example. This popped up locally for £100. MOT'd but "requiring welding", I thought why not at that price and told the guy I'd have it sight unseen. 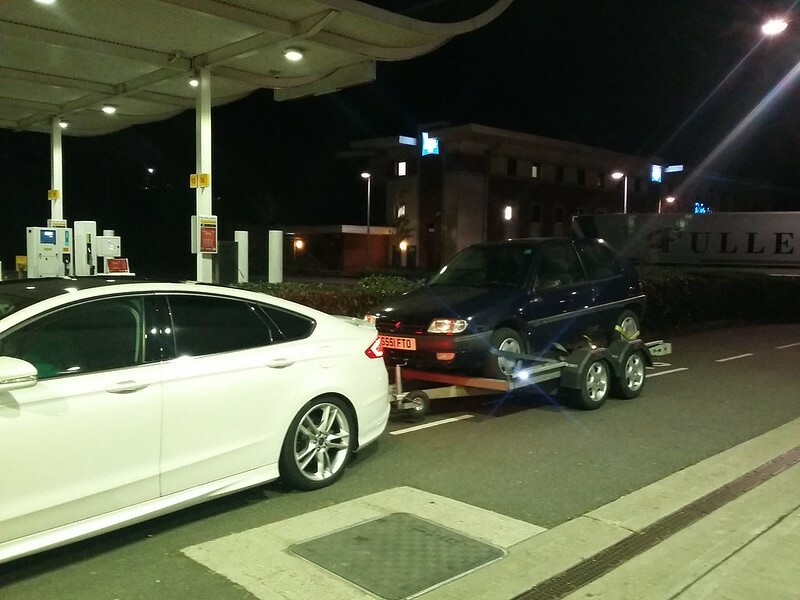 In the end he even dropped it off for me as he had it on the road un-taxed. My jaw hit the floor when it turned up. 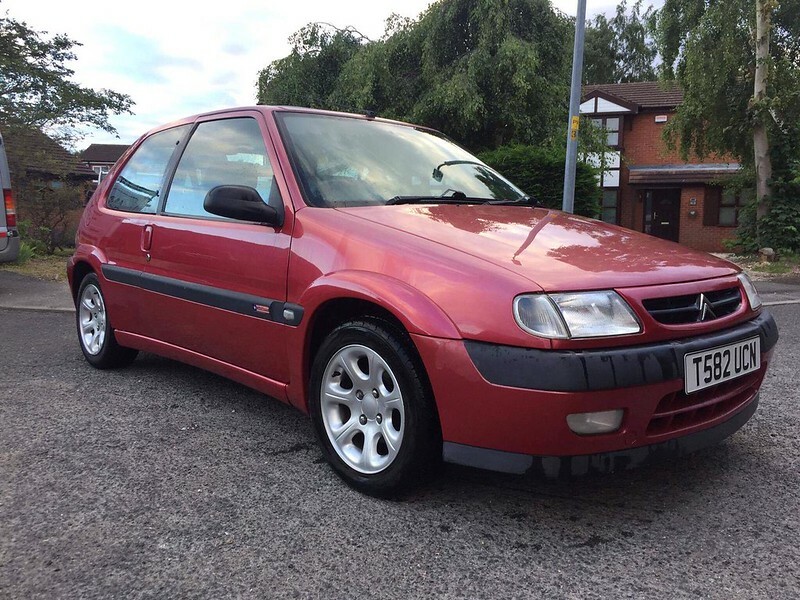 Mileage in the 50k's, original bill of sale, original books, good condition alloys and it was very, very tidy looking. That explains the rust then! An outdoor seaside car all of its life. At least this car topped up my parts hoard with a lot of very good parts. It was the bodykit sections from this car infact, that were painted and then fitted to the Mercury VTS to replace its damaged originals. Did I keep a roof off of any of these cars? Did I bugger it. Rust or no space to be able to keep one being the main reasons. 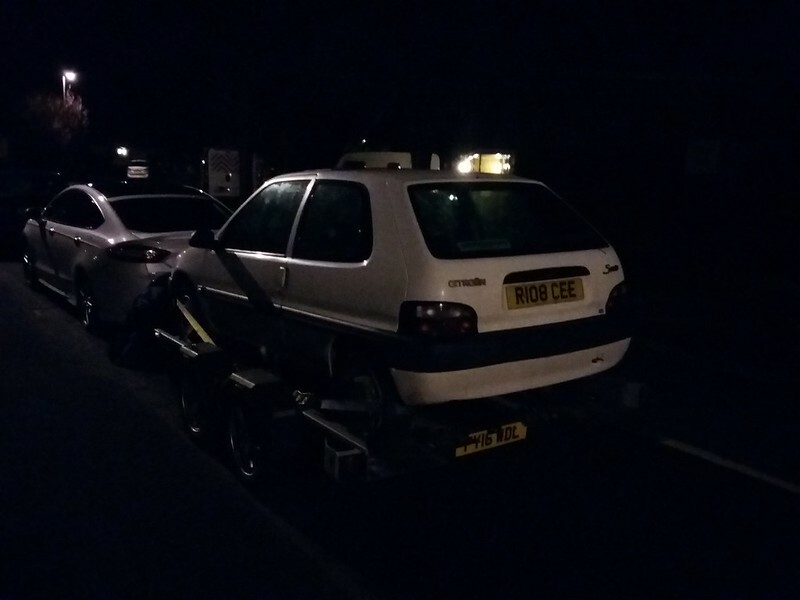 So I started to keep half an eye out for a cheap MK1 after my trip out last weekend. My reasons being that I now have three VTS to feed the mouths of and I need plenty of metalwork for the rotten Fijian and accident damaged press car. I didn't expect to find one so quickly as they don't seem to pop up for around £100 anymore and then on top of that, locally. This one popped up on e-bay for a starting price of £156(? 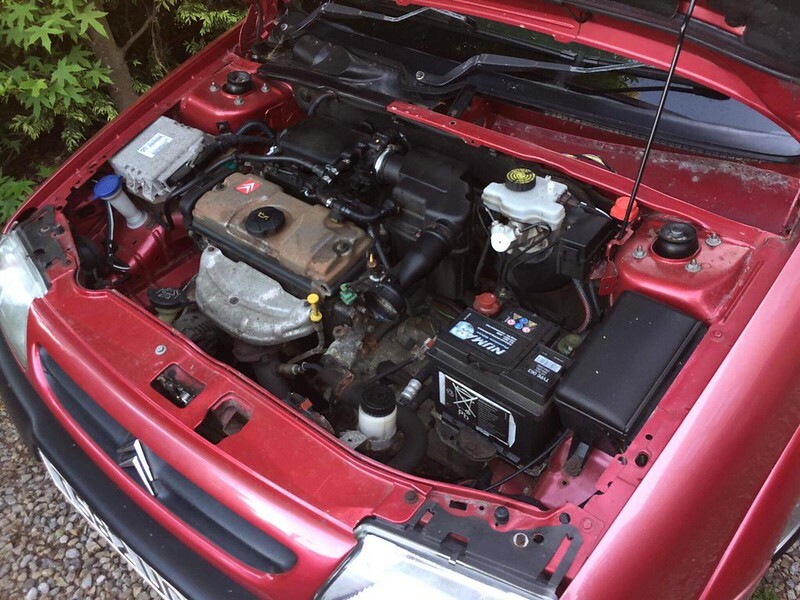 ), a 1998 1.4 auto with no MOT, non runner and some damage to the tailgate around 50 miles away. To cut a long story short, after a bit of a chat via e-bay, I offered him £100 if it didn't sell. Sunday rolled around, the listing ended with no bids and the guy then dropped me another message. "It's yours if you want it"
So Monday night after work, my partner-in-crime father picked me up with his trailer and off we went for another little road trip. I always enjoy these trips out with him, plenty of banter, putting the world to rights and the usual McDonalds or "Grab bag" crisps and chocolate bars. We then loaded the car up in the dark(a bit of effort due to the non-runner part) and off we went. The next day in the light, I've got to say it's a great purchase it seems. The roof looks to be in fine fettle but rather annoyingly, apart from the dent in the tailgate, so does the rest of the car. Last edited by lincolndanny; 10-10-2018 at 11:31 PM. I cut the roof off a car using a large hacksaw with a new blade , sawing through the A,B.C posts. It was surprising easy , like a hot knife through butter. No need for a disc cutter. Might be worth a try before hiring the cutter. 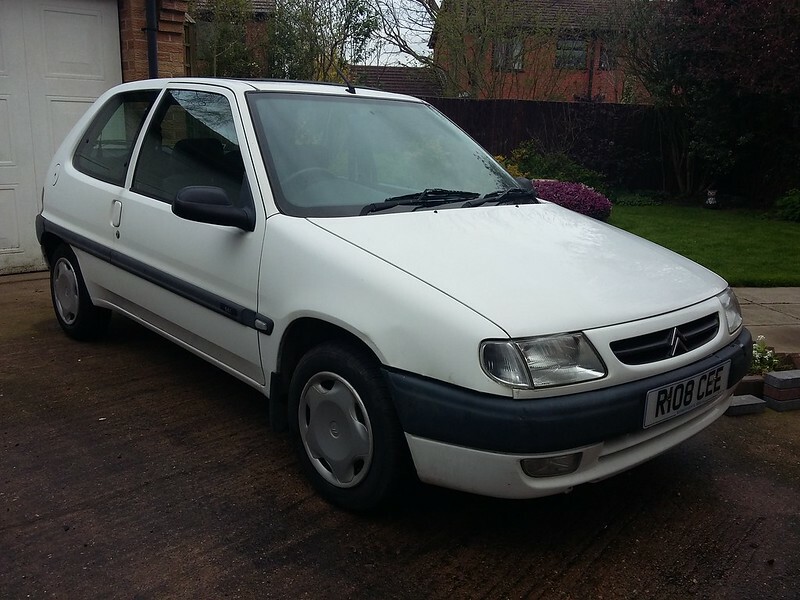 Anyway, I know it’s going back quite far now, but I was looking at the bit about accessory stereos and couldn’t help but lust after that cassette/CD changer combo you picked up to fit into my lovely (if I do say so myself ) one owner 106 Quicksilver. Like you, I’ve found the Clarion changer quite easily, but true to your experience the head unit seems very elusive. If you don’t mind me asking, where did you eventually manage to find one? 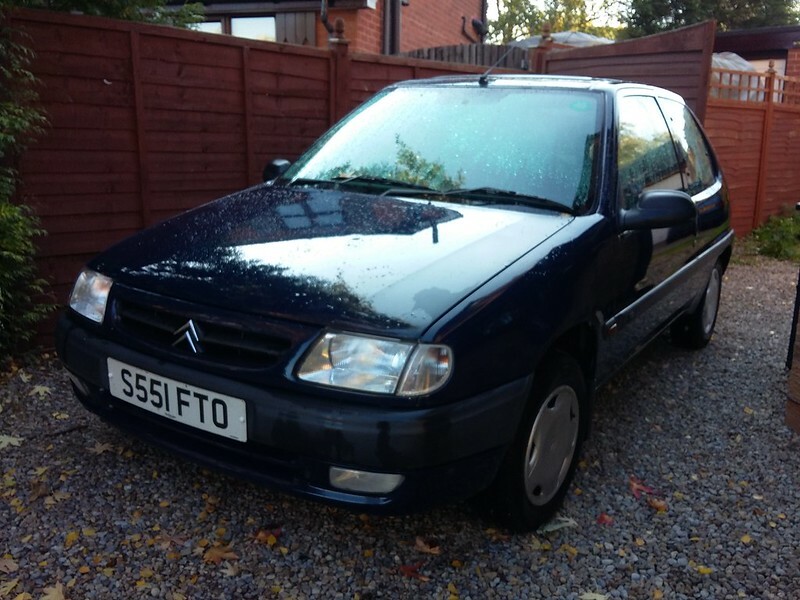 Also, by any chance do you know of somewhere I could pick up that accessories brochure, or is it a case of having friends in high places (90s Citroen dealers to be exact)? Thanks in advance if you're able to help! Ps: people may find it comforting to know that I’m an 18 year old that doesn’t want to ‘chav’ out a factory original, perfectly clean Quicksilver. Last edited by DanTheToastMan; 11-10-2018 at 08:16 PM. You don't for one second think LD was going to hire a cutter do you!?! 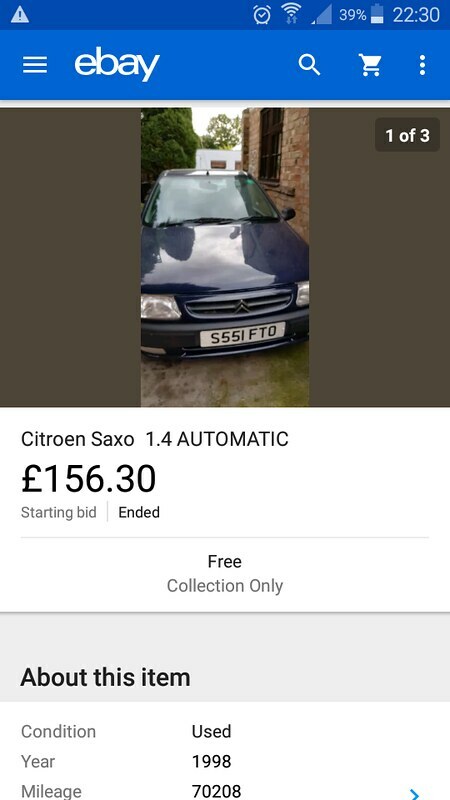 That was just him trying (and succeeding) to convince himself (and herself) that the purchase of (another) complete Saxo was in order! The accessory catalogue was a lucky e-bay find, though they do tend to pop up every now and again on there. 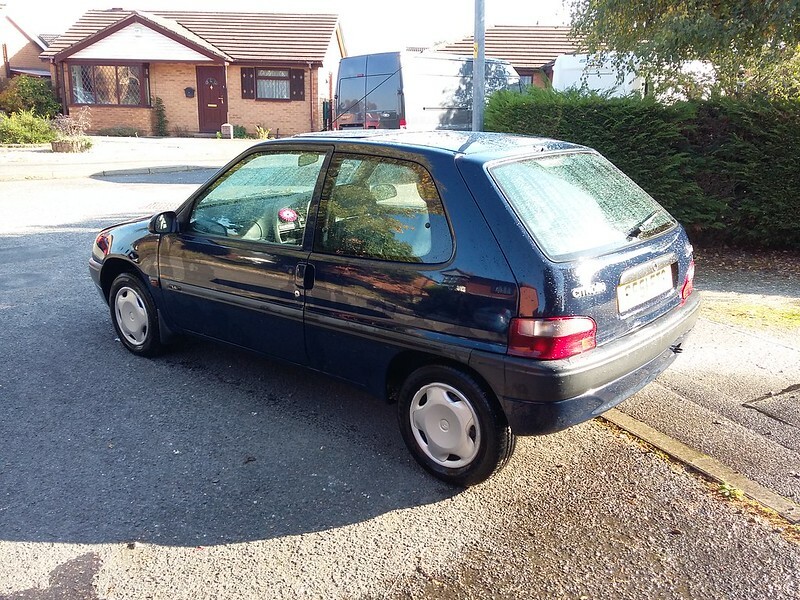 I've just done a quick search for a Peugeot 106 version and I came across this if it's of any interest? There's a few different ones on there if you search. Didn't think to check eBay actually, brain obviously wasn't working, but when I did I could only find German language ones, so thanks very much for the link!